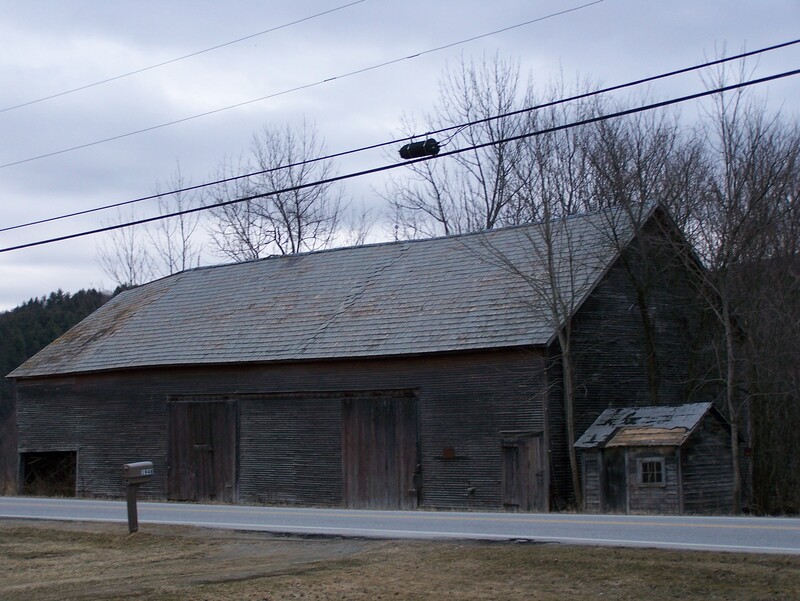 Back in September, I wrote about this available old barn from Ira, Vermont that was awaiting a new owner with a vision for the next two centuries. Just six months later, we are pleased to report that this handsome 1770s timber frame has been purchased. After a complete restoration, we will move the gunstock frame in the spring to its new home in northern Vermont. 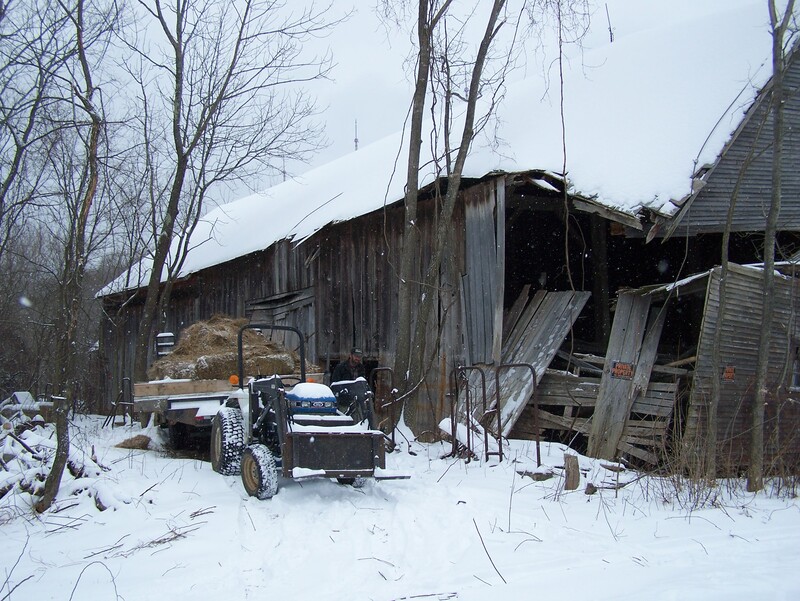 Despite the mounting snowfall and frigid temperatures here in Vermont, the mucking out process is well under way. 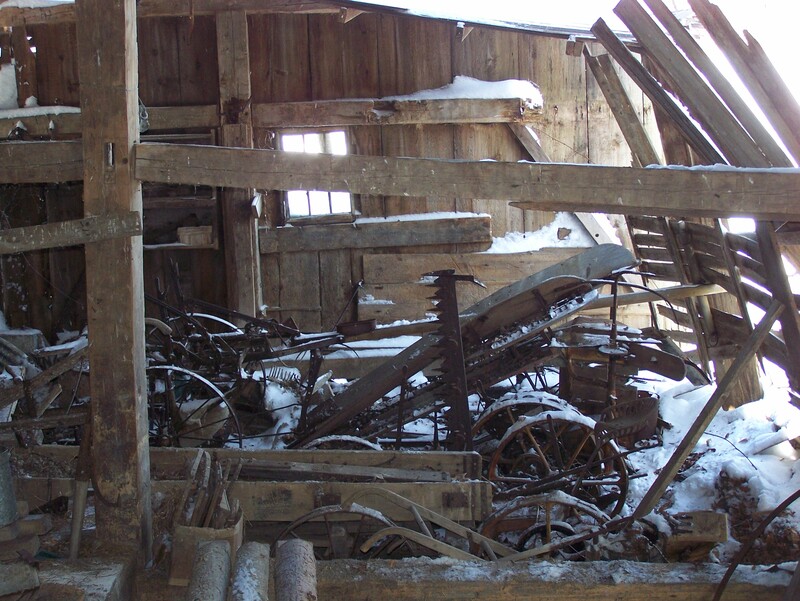 Generations of accumulated treasures/trash have been removed from the barn’s five bays. Four of us guys have put in 150 hours hauling out hay, farm implements, bed frames, furniture, metal, lumber ‘too short to save,’ and more! Our intention is to have a clean interior to allow accurate measurements to be taken. This will enable the architect to make drawings of the current frame, followed by adjustments for the new owner’s dream. In the second bay, underneath the hay, we discovered three horse drawn cultivators. The first bay is falling in. We have braced the timber frame to keep it from further sagging. 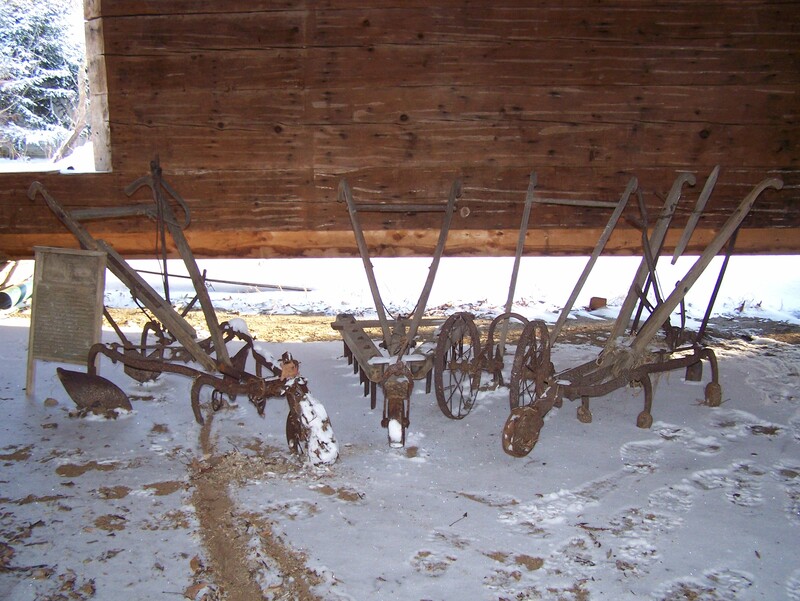 Horse drawn equipment is stored in this bay, but cannot be removed at this time as it is frozen in the earth. In the mean time, we are being careful to protect it. This entry was posted in Green Mountain Timber Frames, Post and Beam, Sold Timber Frame Homes, Timber Frame Projects and tagged American heritage, barn for sale, barn homes, barn houses, barn restoration, Green Mountain Timber Frames, gunstock timber frame, historic properties, historic timber frames, post and beam homes, saving old barns, vermont timber frames, vermont timberframes by Green Mountain Timber Frames. Bookmark the permalink. thanks..loved reading this and looking forward to the next ‘chapter’! Hi, I’m viewing this link from the UK. A very pretty building, is it hardwood or softwood framed? be restored, for what it is, historically ?